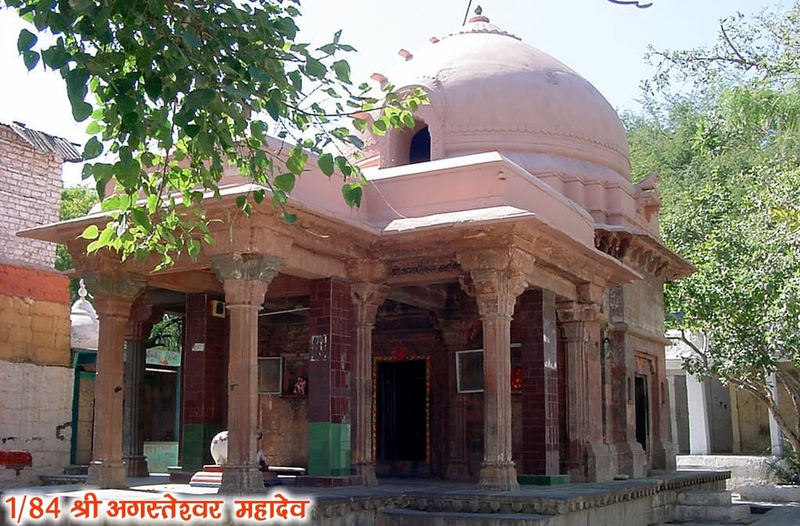 The city of lord Mahakal, Ujjain, is known by several names in Vedas and Puranas. The word ‘Avanti’ has repeatedly surfaced in the verses of Vedas. Another name Ujjayini has emerged in the sutra “Striyamwanti Kurubhyashcha” of great scholar Panini. The city was named after King Kartavirya Arjun’s son Avanti which was later called as Avantika, Avantipuri, Avanti Nagri or Avantikapuri. The city was even called as Vishala due to its large area and Padmavati due to its grand places and prosperity. In ancient times, the city had several names including Padmavati, Swarnashringa, Kushashthali, Avantika, Amravati and Churamani. It was also called ’Kanakshringa’ due to the golden designs on its structures. It was named as ‘Kumudvati’ because flowers were found in abundance here. The city was called as ‘Pratikalpa’ as it was ruined and settled frequently. 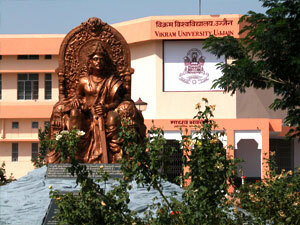 According to the Brahmapuran, Ujjayini was described as one of the most significant city of the world. Equipped with all kinds of joys, it was called as ‘Bhogavati’ while the city was also known as ‘Hiranyavati’ due to the prosperity. The city was called as ‘Vikrampuri’ as it was the capital of king Vikramaditya, the founder of Vikram Samvat calendar while it was named Mahakalpuri or Shivpuri as world’s famous Mahakaleshwar Jyotirlinga is situated here. The city has been named as Avanti in the epics like Vedas, Valmiki Ramayan and Mahabharat. The most popular name ‘Ujjayini’ is still in use with a slight modification as Ujjain. The city was prosperous due to its richness of gardens. 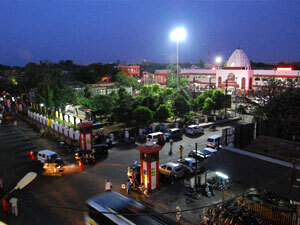 In ‘Prakrit’ language, garden is called ‘Ujjain’ and thus the city was titled Ujjayini which was later named as Ujjain. Another source that confirms the ancient character of Ujjain is the coinage. During excavations carried out near the Bhartrihari Caves, a kunda yielded coins dating to the pre-Mauryan period. Punch-marked and cast coins are found here dating from the 3rd century BC to the 1st century AD. Squared copper Mughal coins were struck in the city up to the time of Shahjahan. In fact, right from the time of Akbar, Ujjain was one of the four places with a mint to strike silver coinage for the Mughal empire. In the excavations in and around Ujjain, clay medals and seals have also been found dating from the second century BC. Inscriptions are yet another source that confirms the ancient character of Ujjayani. A seal of terracotta bearing inscriptions “Nagabhudisa Pavajitasa” and “Asadevasa” in Brahmi characters of 1st century AD turned up during excavations at Ujjain. The Nasik Cave inscription of Vasisthiputra Pulumayi identifies Avanti as Akaravanti with its capital as Ujjayani whereas the Junagarh inscription of Rudradaman-I refers to two Akaravantis, namely, Purva (eastern) with capital at Ujjayani and Apara (western) with its capital at Mahismati (Maheshwar). The first separate rock edict of Asoka refers to Ujjayani from where the Mahamatras were sent by the royal prince (kumara). Inscriptions of Bhoja, Udaditya, Naravarman, Devapaldeo and Vijayasinghadeva have been discovered at Ujjain and testify the rule of the Parmaras at Ujjain. The ancient city of Ujjaiyini is said to have existed about 6 kilometers to the north of today’s Ujjain. Garhkalika, as it is known today, was perhaps destroyed by earthquakes and the frequent floods in the Kshipra river. The ancient mounds in this area still yield early artefacts and remains. The excavations have exposed the mud fortifications of a citadel, datable from Circa 700 – 500 BC. To save the city from destruction by floods in the Kshipra, the inhabitants of this period erected a massive wall of compact whitish clay near the ramparts of the citadel. In the pre-independence era, Ujjain witnessed the scenes of socio-cultural rejuvenation, industrial and commercial growth on modern pattern and the struggle for the freedom. In 1948, the Shinde regime came to an end as the Gwalior state merged into the newly formed Madhya Bharat. Presently, Ujjain is a Commissionaire and district headquarters in the state of Madhya Pradesh. 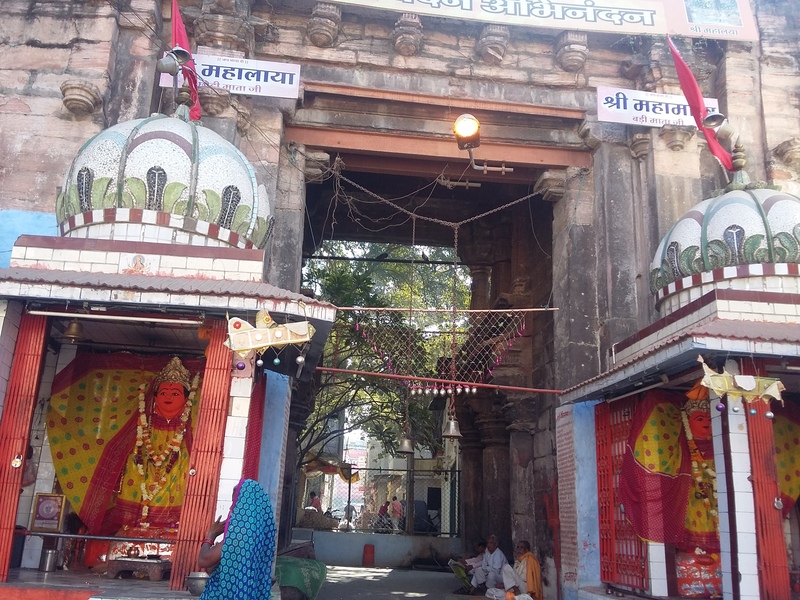 Ujjain has accommodated many Shaivite sects like Pasupata, Kapalika, Kalamukha, Bhairava and Natha. 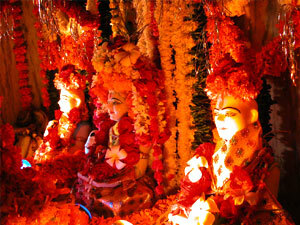 The famous Shaiva vedantist Adi Shankaracharya and the profounder of the Natha sect, Gorakhanatha also visited Ujjain. King Bhartrihari is known to have adopted the Natha cult as a disciple of Gorakhanatha and he practised asceticism staying away from worldly affairs. During the medieval period, famous yogis like Jadarupa hailed from Ujjain. Temples and Mathas of these sects were constructed in large numbers, particularly during the Parmara period. Later in the 16th century AD, Saint Vallabhacharya of the Vaishnava Sandipani Ashram Parisar established the 73rd of the 84 baithaks of the Vallabh Sampradaya who delivered his sermon under a peepal tree nearby. The Bohras migrated to Ujjain during late Mughal period as traders from Gujarat brought along their unique customs. The Roza at Ujjain is highly revered place of the Bohras and a yearly congregation is held here which is attended by people from across the world. “Mahakal-van” is the favourite shamshana (cremation ground) of Shri Mahakal. It is this shamshana from where Vikram carries Betal, to lose him every time he is forced to answer the questions posed by Betal. The narrative traditions (both oral and visual) that India is so proud of can be seen here at Ujjain in its myths and mythologies. The wisdom of King Vikramaditya, the poetry of Kalidasa and the celestial calculations of Varahamihira are kept alive in the landscape of myths and mythologies. 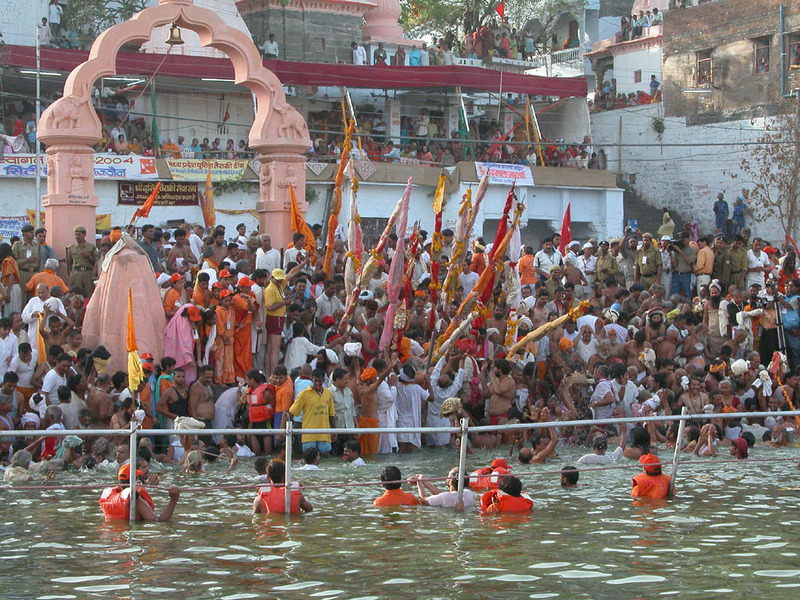 Ujjain is situated on a unique geographical location from where tropic of cancer passes. It is the ‘Greenwich Mean Time’ of India for Panchang. The tilting of earth at angle of 23½ ◦on its axis and geographical line of tropic of cancer has special cosmic influence making it fit for absolute time location. Situated on the bank of river Kshipra, the only river that travels straight from South to North, Ujjain reflects distinct character of socio-religious cultural. One to whom the God of creation, out of fear of this world, bows; One who stays happily in the hearts of the mahatmas who are calm, meditative and who have a tranquil soul; One who wears the art of the moon, skin of snake and marked skulls. Longitude – Unique geographical location from where tropic of cancer passes. Maximum temperature- 39◦. The hottest months are April to June. Minimum temperature- 5◦. Coolest months are from December to February. Average annual rainfall 900 mm, Shallow ground water (pre-monsoon) 20 mts. Shallow ground water (post monsoon) 8 mts.